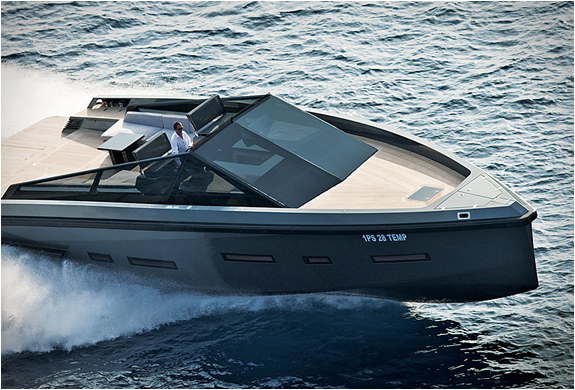 Wally 55 is another beauty from our favorite shipyard, Wally Yachts. 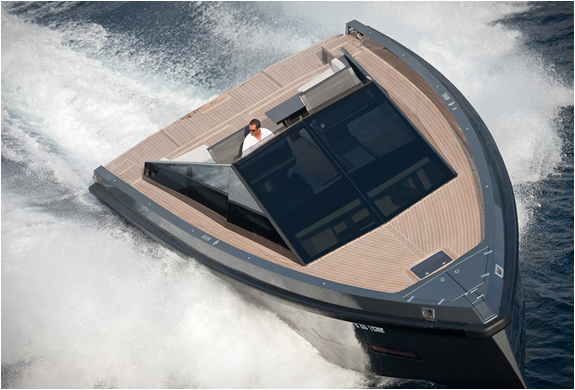 Wally has an unconventional approach to yacht and powerboat design, and the Wally 55 is no exception. 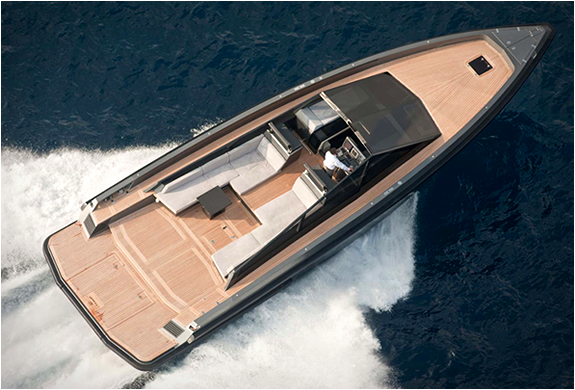 With a distinctive military look, Wally 55 is the ultimate open sports cruiser, equipped with four powerful engines each producing 435-horsepower and able to deliver a top speed in excess of 40 knots. 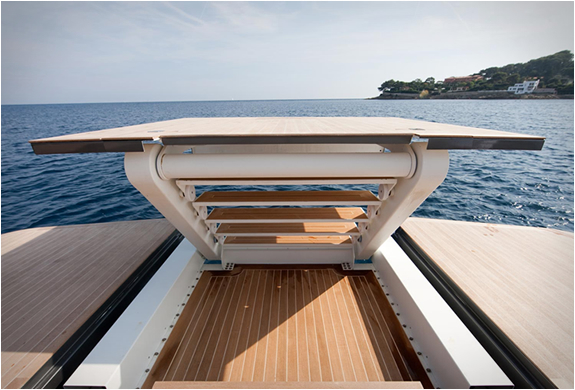 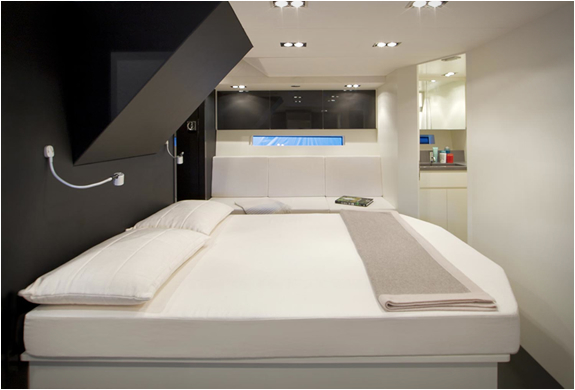 Wally offers a custom service, you can choose from a two-cabin or three-cabin version, and develop a very individual look for the interior.